Visions in blue from tablescapes past. 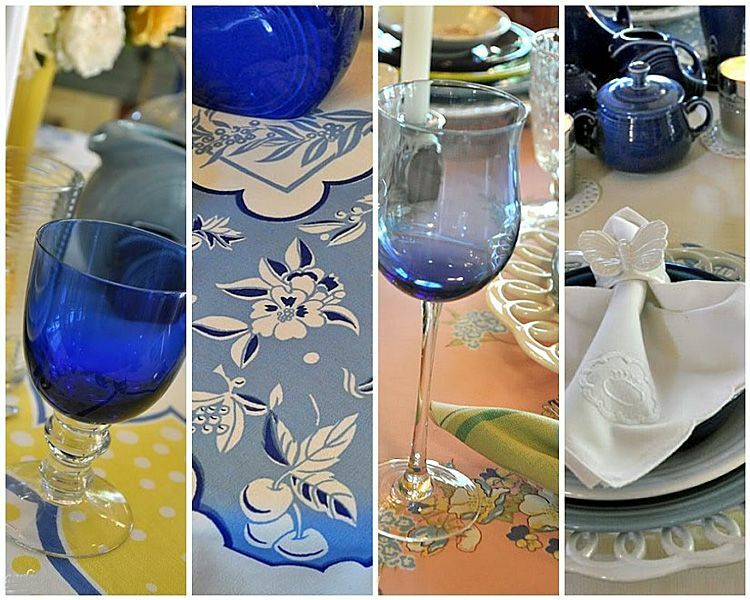 Thanks for stopping by for Blue Monday, be sure to come back for this week's new tablescapes. Beautiful table settings, love the blue with the warm colors of yellow and peach. Enjoy your week. Very colourful mosiacs and pretty linens. Oh I love those bright blues!!! the pictures are lovely in your mosaics. Well done. I love the blue stemware! 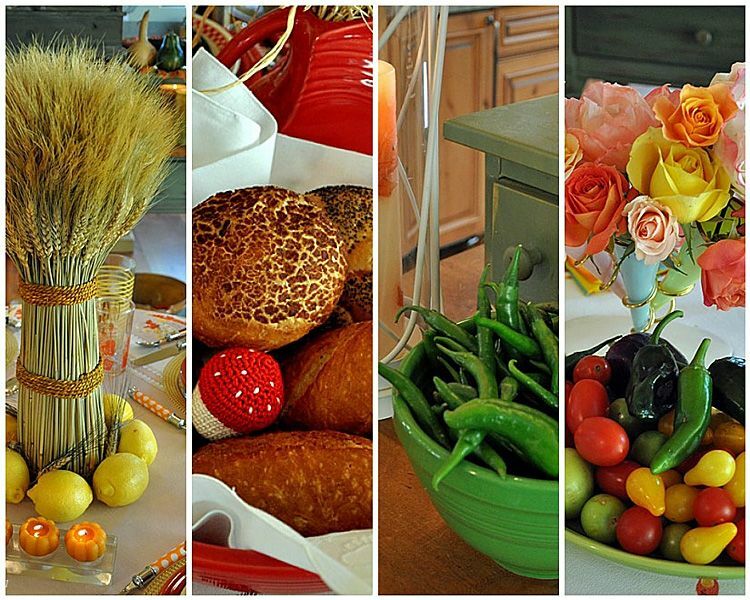 I love the wheat, mushroom, and chiles.Bright and beautiful. Then the blue ... calm and beautiful! Your visions of blue set very well with me. I love to come here in your blog because it's colorful and inspires me to make my own too. Happy Monday! Love all your blue photos. Happy Blue Monday. Let’s see.....little tomatoes just like the ones we have been growing that taste so good...peppers...lemons...and what I think is freshly baked bread....all of these make for a beautiful mosaic. Wonderful photography. The blues in the other mosaic are lovely, too.